Do monkeys have the right to sue for copyright infringement? If the question strikes you as bordering on the frivolous, then you will likely be reassured to learn that a panel of Ninth Circuit judges held last week, in Naruto, a Crested Macaque, v. Slater (Apr. 23, 2018) (also discussed on this blog by John Shu), that nonhuman animals, monkeys included, may not bring actions for copyright infringement. You might be a little less reassured to learn that the panel also concluded that under Article III of the U.S. Constitution – as interpreted by prior Ninth Circuit case law – monkeys and other animals do have legal standing to file lawsuits in federal cases. In Naruto, the court of appeals was presented with the question “whether a monkey may sue humans, corporations, and companies for damages and injunctive relief arising from claims of copyright infringement.” Slip. op. 4. The question arose in a case brought by People for the Ethical Treatment of Animals (PETA) and a behavioral ecologist, purportedly as “next friends” of Naruto, a non-human primate who resided in a reserve in Indonesia. PETA alleged that in 2011, Naruto came upon a camera belonging to David Slater, a wildlife photographer, and used the camera to take several photographs of himself (known as the “Monkey Selfies”). Slater published the photographs in a book. Following the publication of the book, PETA and the ecologist filed a copyright infringement suit on behalf of Naruto in federal district court against Slater and two corporate entities that had allegedly played a role in the publication. The complaint did not allege any relationship or history between PETA and Naruto (but did allege that the ecologist had spent years observing Naruto). The district court granted the defendants’ motions to dismiss, holding that Naruto lacked standing under the Copyright Act. PETA and the ecologist appealed, but the ecologist withdrew from the litigation while the appeal was pending. Slip op. 4-6. On appeal, a Ninth Circuit panel affirmed the district court’s decision dismissing the Naruto action. In a lengthy majority opinion, Judge Carlos T. Bea, joined by a visiting judge (Judge Eduardo C. Robreno, of the U.S. District Court for the Eastern District of Pennsylvania), held for the panel (1) that Ninth Circuit precedent “requires us to conclude that the monkey’s claim has standing under Article III of the United States Constitution”; and (2) that “this monkey—and all animals, since they are not human—lacks statutory standing under the Copyright Act.” Slip op. 4. Article III of the Constitution limits the exercise of the federal judicial power to “Cases” and "Controversies.” The Supreme Court has interpreted this limitation to mean that a plaintiff “must have (1) suffered an injury in fact, (2) that is fairly traceable to the challenged conduct of the defendant, and (3) that is likely to be redressed by a favorable judicial decision.” Spokeo, Inc. v. Robins, 136 S. Ct. 1540, 1547 (2016). Before considering these requirements, the Naruto panel first concluded that PETA could not sue as Naruto’s “next friend,” both because PETA had failed to allege a “significant relationship” with Naruto, and because Congress has not authorized next-friend suits on behalf of animals. Slip op. 7-9. Nonetheless, the panel concluded that the lack of a next friend did not destroy Naruto’s Article III standing to sue, relying on cases which the panel read as allowing or endorsing suits on behalf of incompetent parties who had no next friends. Id. at 10. In particular, the panel relied on Cetacean Community v. Bush, 386 F.3d 1169, 1175 (9th Cir. 2004) (“Cetacean”), as holding that a group of cetaceans, who had no next friend, could show Article III standing. Slip op. 11 & 11-12 n.5. The purported plaintiffs in Cetacean were “all of the world’s whales, dolphins, and porpoises…, through their self-appointed lawyer.” Slip op. 12. The lawyer asserted environmental-law claims challenging the U.S. Navy’s use of sonar during wartime or heightened threat conditions. 386 F.3d at 1171. The Cetacean court had concluded that the animals lacked statutory standing, but that Article III would have allowed Congress to grant the animals statutory standing. Id. at 1175-76, 1179. In the panel’s view, Cetacean required the panel to conclude that the Naruto complaint adequately alleged Article III standing. Id. at 12-15. The panel noted that the complaint alleged that Naruto had suffered concrete and particularized economic harms resulting from the defendants’ copyright infringement that could be redressable by a judgment declaring Naruto the author and owner of the Selfies, thereby satisfying Article III’s basic requirements of injury-in-fact, causation, and redressability. Id. at 13-14; see also Cetacean, 386 F.3d at 1176 (“[W]e see no reason why Article III prevents Congress from authorizing a suit in the name of an animal, any more than it prevents suits brought in the name of artificial persons such as corporations, partnerships or trusts, and even ships, or of juridically incompetent persons such as infants, juveniles, and mental incompetents.”) (citing, inter alia, Christopher D. Stone, Should Trees Have Standing?-Toward Legal Rights for Natural Objects, 45 S. Cal. L. Rev. 450, 452 & n.13 (1972)); cf. Sierra Club v. Morton, 405 U.S. 727, 741-42 (1972) (Douglas, J., dissenting) (citing Stone article) (“Contemporary public concern for protecting nature's ecological equilibrium should lead to the conferral of standing upon environmental objects to sue for their own preservation. … Inanimate objects are sometimes parties in litigation. … So it should be as respects valleys, alpine meadows, rivers, lakes, estuaries, beaches, ridges, groves of trees, swampland, or even air that feels the destructive pressures of modern technology and modern life.”). Of course, Article III standing merely gets a person – or, as in this case, an animal – into federal court. Naruto also needed to satisfy “statutory standing,” meaning “Naruto’s ability to sue under the Copyright Act,” as opposed to “his ability to sue generally.” Slip op. 14 n.7. As to this separate requirement, the panel – again following Cetacean – held that Naruto lacked statutory standing because the Copyright Act does not expressly authorize animals to file copyright infringement suits. Id. at 15-18; see also Cetacean, 386 F.3d at 1179 (“If Congress and the President intended to take the extraordinary step of authorizing animals as well as people and legal entities to sue, they could, and should, have said so plainly.”) (brackets and quotes omitted). Judge N. Randy Smith concurred in part, writing his own lengthy opinion. Unlike the majority, he would have dismissed the appeal and vacated the judgment on the merits for lack of jurisdiction. Slip op. 19 (N.R. Smith, J., concurring in part). Disagreeing with the majority’s reading of Cetacean, he concluded that next-friend standing is jurisdictional, which was fatal to the suit because PETA did not have next-friend standing. Id. at 19-21, 31-39; id. at 34-35 (opining that Cetacean had not addressed whether next-friend standing is jurisdictional); id. at 37-38 (disagreeing with majority’s reading of other cases). Judge Smith agreed with the majority that PETA had not alleged sufficient facts to serve as Naruto’s next friend, and that next friends cannot represent animals. Slip op. 25, 30 & n.7 (N.R. Smith, J., concurring in part). He also agreed with the majority on the “easy” question whether animals have statutory standing to bring copyright claims. Id. at 20. A few modest observations on the opinions are warranted. First, in some respects, the disagreements that the members of the panel expressed in their lengthy opinions are largely academic and technical in nature, centering principally on how to read Cetacean. All three judges agreed that “animals should not be permitted to sue in human courts.” Slip op. 12 n.5. The majority, unlike Judge Smith, thought that this question was foreclosed by Cetacean, and thus “urge[d] this court to reexamine Cetacean.” Id. ; see also id. at 15-16 n.7; compare id. at 34 (N.R. Smith, J., concurring in part) (“… Cetacean is silent on next-friend standing. Indeed, even the briefing did not raise the issue.”); id. at 34 n.10 (“Although [Cetacean is] binding precedent, I agree with the Majority that granting Article III standing to animals was an incorrect conclusion.”). Animal-next-friend standing is particularly susceptible to abuse. Allowing next-friend standing on behalf of animals allows lawyers (as in Cetacean) and various interest groups (as here) to bring suit on behalf of those animals or objects with no means or manner to ensure the animals’ interests are truly being expressed or advanced. Such a change would fundamentally alter the litigation landscape. Institutional actors could simply claim some form of relationship to the animal or object to obtain standing and use it to advance their own institutional goals with no means to curtail those actions. We have no idea whether animals or objects wish to own copyrights or open bank accounts to hold their royalties from sales of pictures. To some extent, as humans, we have a general understanding of the similar interests of other humans. … But the interests of animals? We are really asking what another species desires. Do animals want to own property, such as copyrights? Are animals willing to assume the duties associated with the rights PETA seems to be advancing on their behalf? Animal-next-friend standing is materially different from a competent person representing an incompetent person. We have millennia of experience understanding the interests and desire of humankind. This is not necessarily true for animals. Because the “real party in interest” can actually never credibly articulate its interests or goals, next-friend standing for animals is left at the mercy of the institutional actor to advance its own interests, which it imputes to the animal or object with no accountability. Slip op. 28-29 (N.R. Smith, J., concurring in part) (footnotes omitted; paragraph breaks added); see also id. at 29 n.6 (“The concept of expanding actual property rights—and rights broadly—to animals necessitates resolving what duties also come with those rights and, because animals cannot communicate in our language, who stands in their shoes?”); slip op. 12 n.5 (“Judge N.R. Smith insightfully identifies a series of issues raised by the prospect of allowing animals to sue. For example, if animals may sue, who may represent their interests? If animals have property rights, do they also have corresponding duties? How do we prevent people (or organizations, like PETA) from using animals to advance their human agendas?”). Indeed, if any such relationship exists, PETA appears to have failed to live up to the title of “friend.” After seeing the proverbial writing on the wall at oral argument, PETA and Appellees filed a motion asking this court to dismiss Naruto’s appeal and to vacate the district court’s adverse judgment, representing that PETA’s claims against Slater had been settled. It remains unclear what claims PETA purported to be “settling,” since the court was under the impression this lawsuit was about Naruto’s claims, and per PETA’s motion, Naruto was “not a party to the settlement,” nor were Naruto’s claims settled therein. Slip op. 7-8 n.3 (citation omitted; paragraph breaks added); see also id. at 39-41 n.11 (N.R. Smith, J., concurring in part) (recounting and discussing events relating to PETA’s abandonment of appeal). Finally, many readers will likely agree with Judges Bea and Smith that allowing animals to file lawsuits raises a number of serious practical as well as theoretical problems. One might take a further step in asking what better ways may be available for using laws, regulations, and other mechanisms to protect the legitimate interests of animals in various contexts. Taking the Naruto case as an example, one might ask what underlying interests of animals, if any, arose in the case that might be better protected by some other framework. For instance, one might be concerned that certain animals could be harassed, and their well-being impaired, by wildlife photographers, tourists, or other human visitors. Laws and regulations governing animal welfare and species protection (presumably Indonesia’s laws and regulations, in the case of Naruto) could be a better fit for at least some of the goals claimed to be served by lawsuits such as the Naruto suit. 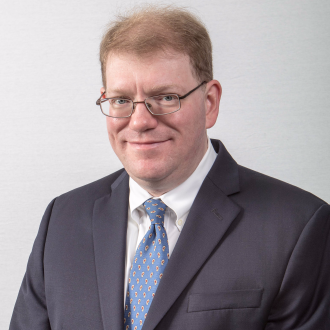 Andrew R. Varcoe is a Partner with Boyden Gray & Associates, PLLC, in Washington, DC. He has extensive experience with litigation, environmental, energy, natural resources, and administrative law matters. Earlier in his career, as a lawyer for the U.S. Department of Agriculture, Varcoe litigated animal health and welfare enforcement cases, arising under statutes such as the Animal Welfare Act, in the federal courts of appeals.